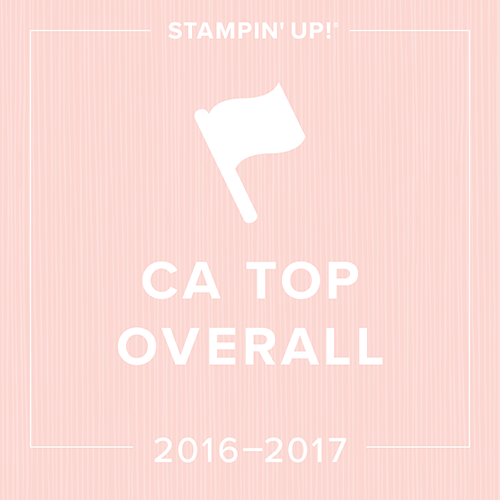 Last Day for Current Catty and Promotion! 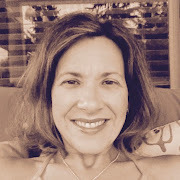 Cathy Feniuk... you are the winner for the time period of June 23-26th! Congratulations! 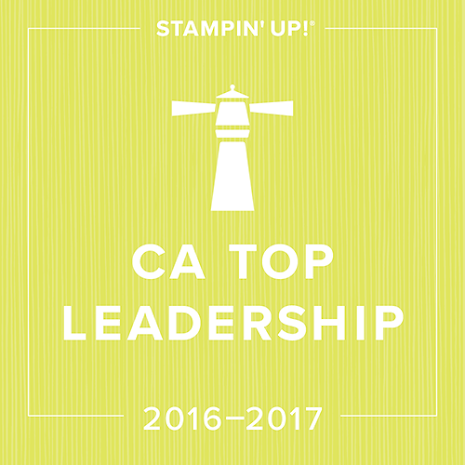 I have a clear mount set of the amazing WORD PLAY stamp set for the first person to join my team this month! 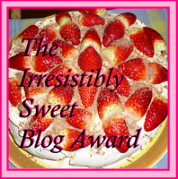 Don't forget to check out my special give-a-way in the following post! 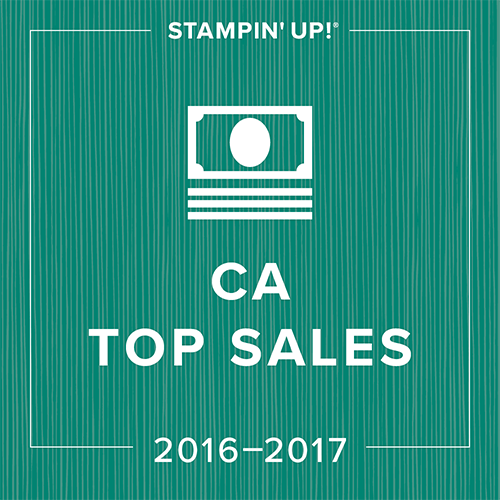 This week's Stampin' Royalty challenge is Be Patriotic with the upcoming Canada Day and 4th of July celebrations. Although I am a proud Canadian, sending a Canada Day card is something that I've never done. I've made Canada Day cards to showcase the phenomenal products that Stampin' Up has released, but I'm sad to say, I'm not even sure who to send one to:) I kept this one simple as I was finally able to stamp lastnight for the first time in two weeks... I had to ease back in and pray that some mojo came along:) I promise that I will send this one...or should I say hand deliver as there is no time left to get one mailed to someone:) Last day of school today... YIPPPEEEEEEEE! Just had a thought... is anyone else seeing that little flag as a cupcake topper on an yummy white cupcake with red icing???? Can you tell I have sugar on the brain right now? 1. Peanut M&M's are my FAVOURITE sweet. 4. I knew I was going to marry my husband the first time I saw him. 5. I am a pathetic sucker when it comes to my little boys, however I try not to let them know that! 6. I still cry when I think about my first dog! 7. I had the best in-laws in the world! This was our June Scrapbook Club spread this month. I had a lot of fun creating this page as I love looking back through old photos:) I know that this DSP is retired, but it is still available through My Digital Studio and is a PERFECT combo for the Travel Log stamp set in the current mini. What do you think.... any improvements you can suggest? I'm always looking to become a better scrapbooker, so your feedback is welcome! get a $10 credit to be used on your purchases in July for every $30 you spend on My Digital Studio downloads between June 21st and June 26th. Every $30 purchase will earn you an additional $10 credit!!!!! This bright and cheery card is a CASE of one that I had seen on UStamp. I loved the simplicity of the card and the bright colours. I changed up the orientation of the card and added in a fun new sentiment from the upcoming Hostess set called Happiest Birthday Wishes. 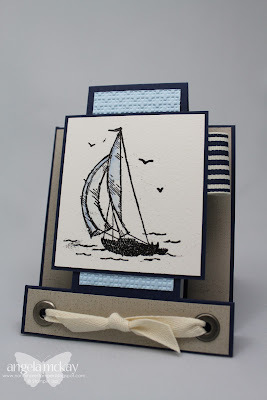 Making this card made me realize how long it has been since I've done any serious two-step stamping! I love it! Cute favour bag! Wish I could have been there too! *** Please contact me with your choices... see the below post link below for my special giveaway for your selections. Both of the Something to Celebrate sets are taken already and other than that all are free. 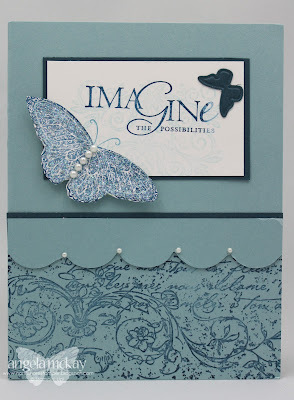 This week's Stampin' Royalty Challenge is a fabulous sketch challenge. I'm starting to feel a sense of panic as many of my favourite DSP's are about to be gone FOREVER! The Celebrations DSP is one of them. Make sure to come and join us... I can't wait to see what you come up with! Well I hope that you all had a wonderful Father's Day with your family's yesterday. Unfortunately, Sean had to work yesterday, and to make it even worse, was stuck on a rescue and didn't arrive home until almost 8pm lastnight. I think that we'll have a "do-over" on Father's Day as it really didn't feel like we got to spoil him! 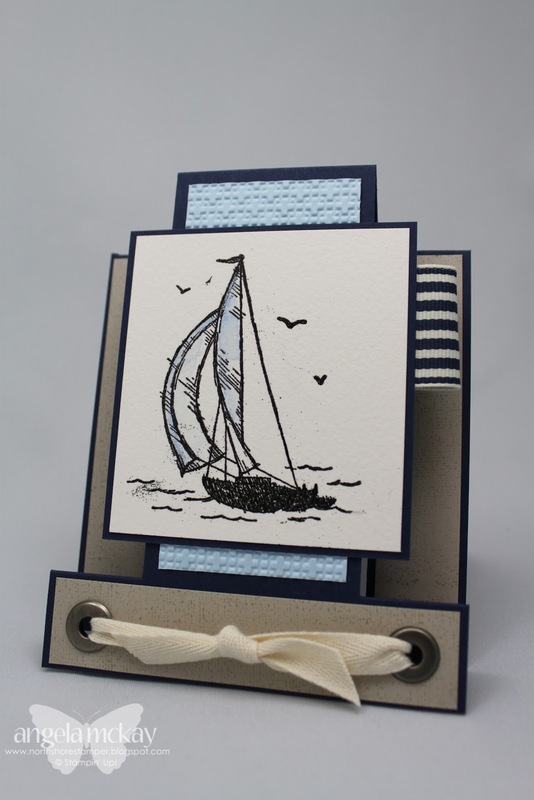 This fun card was made using a set from the Demonstrator Pre-order... I LOVE IT!!!! To make it even better, I was able to pair it with my all time favourite DSP, Jolly Holiday! This one is on the last chance list, so you only have a few more days to get hold of it! That new Lace Ribbon Punch was fun to add some pop to the inside of the card! This quick and easy card was created following a Mojo sketch from a few weeks ago. I never seem to get time to create when the actual sketches are posted:) I've shown off a couple of new products in this card including the adorable Just Add Cake DSP as well as the new hostess set called Happiest Birthday Wishes. 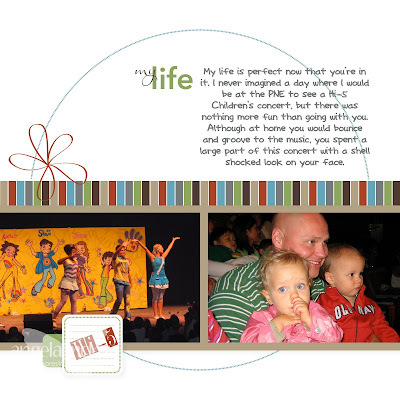 Quick pre-made page from My Digital Studio again today:) Finished report cards lastnight so no time for creating... but I'm so close to the end I can taste it:) Only the Grade Seven Video left to do!!!! These were our second club cards this month. 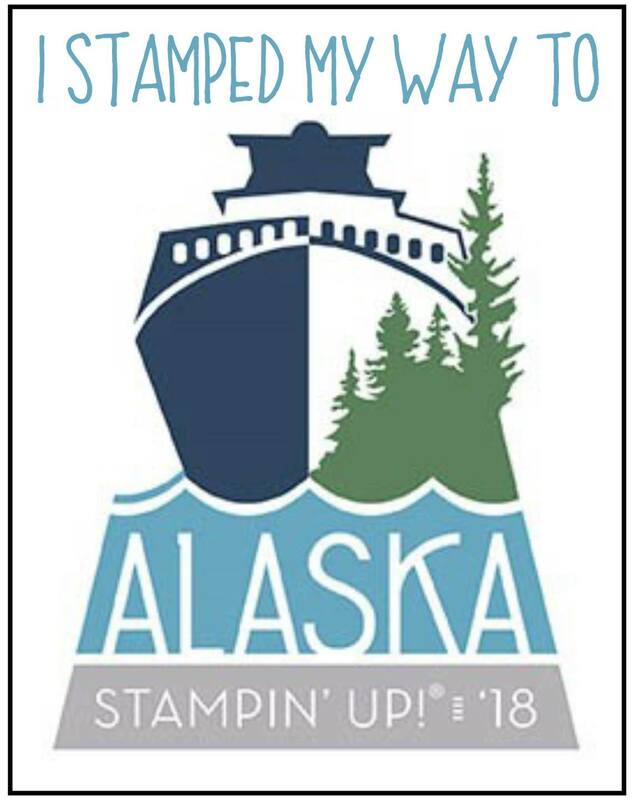 Club members chose the textured background of their choice and the stamp of their choice from the gorgeous Puns From The Past set which is on the Last Chance List! This effective technique is done simply by brayering the ink, Crumb Cake in this case, on the smoother side of your folder. Next, simply put your paper in the folder and run it through your Big Shot:) This would be fun in so many colours! 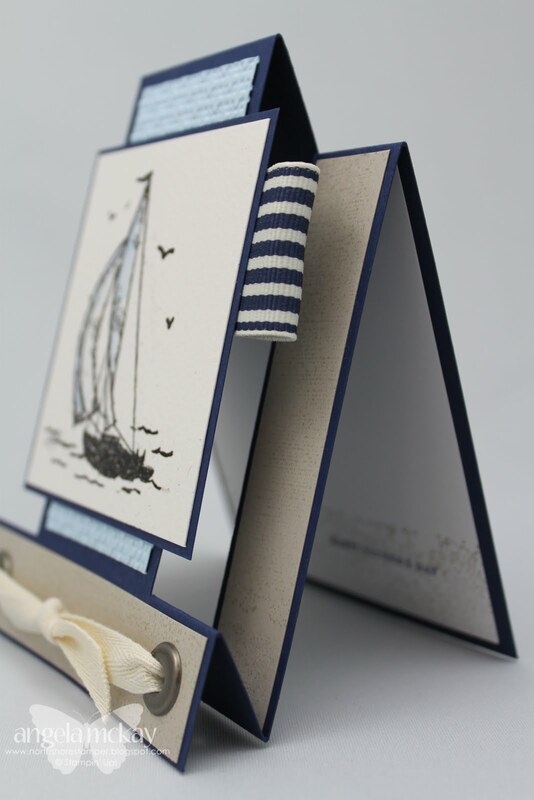 This stunning cards is one that we are making at club this month. I CASE'd this from a fellow SU demo, Mary Fish. I love her clean and classy style and the way her card features so many gorgeous products! Don't miss out on this awesome Hodgepodge Hardware as it is on the Last Chance list and will be gone as soon as it sells out! 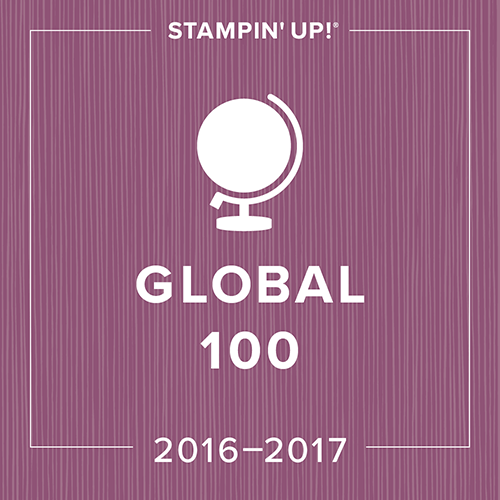 I have a wood mount set of the amazing WORD PLAY stamp set for the first person to join my team this month! I'm feeling a little better today (no thanks to the Canucks Game:), but I'm still playing a little catch up:) I'll have a new card for you tomorrow, but I've decided to share a gorgeous card that I received from my up- up line:) This is such a classy looking card! I have yet another special for you from June11th through 14th... order $30+ in product and earn yourself a $10 credit to be used in July. If you place an $60 order with me, you'll receive a credit for $20 to be used in July. You can choose to place your order online through my online website or contacting me via phone or email. My Digital Studio online orders are included in this! *This offer cannot be combined with any other offer that I am offering. This simple 3x3 card was whipped up so that I actually felt like I got to play this weekend. There is nothing more frustrating than spending your days off in bed:( I really love the colour combo of Basic Gray with the new In Colour Calypso Coral. Hope you had a great weekend! This cold has me down, so today is just a quick pre-made page right out of My Digital Studio! All I had to add was the photos and the journalling. I'm so sorry that I don't have anything new to share with you today... the pace of the last few weeks of school have caught up with me and I am sick... sick... sick. Today will be a day of sleeping and not creating as I had originally planned. I decided to share a sample made at our recent West Creators Team night. This is the perfect blend of new and retiring product! If you loved that Elegant Soiree DSP as much as I did, you'll want to buy it up before it is all gone! I have yet another special for you from June 6th through 10th... order $30+ in product and earn yourself one of the new In Colour classic stamp pads for free when the new catty launches in just three and a half weeks! 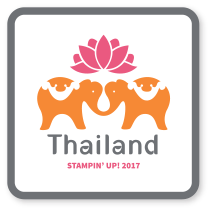 If you place an $60 order with me, you'll be able to choose two stamp pads... and so on. You can choose to place your order online through my online website or contacting me via phone or email. If you place your order online, simply email me your new colour selection and I'll order them all July 1st:) My Digital Studio online orders are included in this! Last night we had a team training meeting at my place for our team. We had such a great time! This was one of the demos that Kristina did for us. We shared samples, so the favour bag Kristina made for me went home with one of my girls... but I couldn't resist to sit down and make another! I love it! There are many gorgeous items on this particular sample that are retiring... one of my favourite, the Designer Label punch is one of them! In addition, that cute little sentiment is part of a gorgeous stamp set called Matchbox Messages that is also retiring... you don't want to miss out on that one! Thank you in particular to Kristina for such a great night and thanks to all who attended! 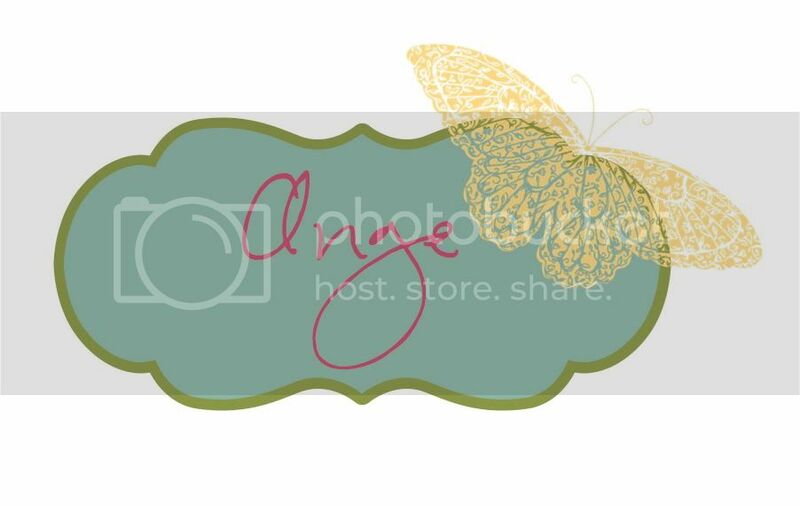 New Digital Downloads Sneak Peek! Last Chance List is Here!